A mini sized blade, unpolished and raw, designated for small but significant work, for within and beyond one's property, to get the cutting activities smooth and successful..
With accordance to its defined name, the kukri has a mini sized blade, unpolished and raw, designated for small but significant work, for within and beyond one’s property, to get the cutting activities smooth and successful. It is a typical all-purpose utility knife that is made coarse all the way for superior effectiveness and performance since the unpolished horn handle provides better sturdy-grip and the unpolished blade retains the initial hardness/temper put into it. Despite of the fact that the kukri blade of Mini Raw UNP has no finishing or polishing the surface is still very much smooth and well balanced. The unpolished feature of the kukri also represents the old historic kukris used by farmers and villagers for their daily domestic work as they were hardly polished. Kukris like these have made productive impact in the life of rural farmers as a pure cutting tool since time immemorial. Both, pommel and bolster are made from thick iron plate to withstand the force and impact taken by the blade. Moreover the unpolished blade skips the long machinery process of getting polished and as a result the temper stays on resulting into stronger edge/bevel and additional sharpness. 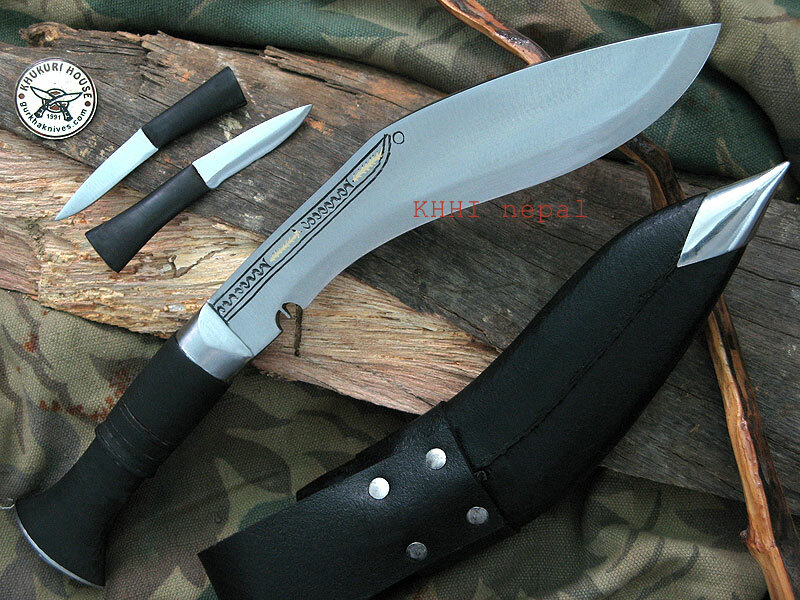 Mini Raw UNP khukuri is recommended for jungle and safari tours. Similarly it comes handy in and around house as a kitchen knife or for gardening at backyard and similar. Because of its easy size and sole objective to cut, it is widely preferred by all people belonging to different walks of life. 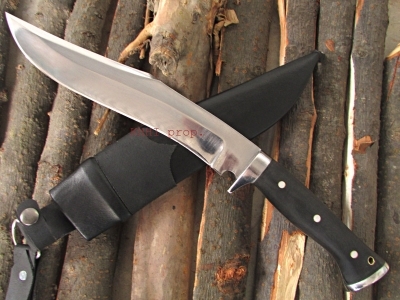 2 x small accompanying knives; Karda and Chakmak are discarded.